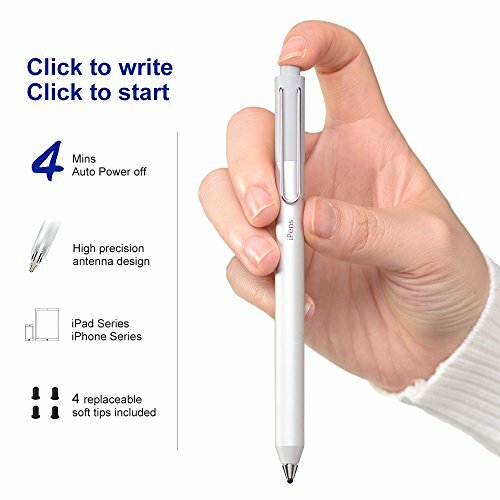 iPens X1 is a smart pen which integrates a lot of new technology to meet the requirement of writing or painting on almost all of touch screen. iPens X1 integrates powerful engine from self-designed smart core X1 chip.Based on X1 chip, iPens has realized independent working on different touch-screen device and different OS. Notes: Recommended devices is included but not limited to this list. iOS devices are tested, and make sure it's OK. Also, user can write or draw in Android devices, but the experience is based on touchscreen performance. Notes: Recommended APP is included but not limited to this list. 【SMART ADAPTATION】：Rotate the antenna to pair with iPad pro, you will have a better writing experience. Attention, there is an automatic indentification function in iPad devices for Apple Pencil, so if your device cannot pair with iPens, you need cancel the Auto-ID for Apple Pencil in settings. If you have any questions about this product by iPens, contact us by completing and submitting the form below. If you are looking for a specif part number, please include it with your message.